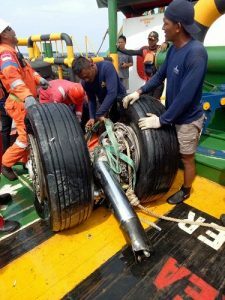 Boeing withheld information about a new flight-control feature which is suspected of playing a role in last month’s fatal Lion Air jet crash, according to an article in the Wall Street Journal. The WSJ article cited airline pilots, safety experts involved in the crash investigation and mid-level officials at the US Federal Aviation Administration (FAA). The automated stall-prevention system on Boeing 737 MAX 8 and MAX 9 models “intended to help cockpit crews avoid mistakenly raising a plane’s nose dangerously high under unusual conditions can push it down unexpectedly and so strongly that flight crews can’t pull it back up” the article stated. In a global safety alert issued about a week after the Lion Air crash which killed 189 people, Boeing instructed pilots how to deal with problems arising from a sensor that could cause the aircraft to enter a sudden dive while being piloted manually. The FAA formalised that advice a day later (as is standard) with an emergency airworthiness directive, which applies to all airlines operating Boeing 737 MAX 8s and 9s. 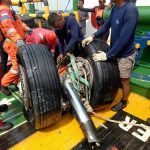 Experts are investigating what caused the Lion Air crash, They need answers urgently because the type of plane involved, the 737 MAX, is the latest generation of Boeing’s most common narrowbody aircraft, with more than 200 delivered since it entered service last year and orders mounting fast. The 737 MAX is set to become one of the world’s most widely used models. As of 30 September 2018, Boeing had 4783 firm orders from 98 identified customers – including in Australia – for it. The Lion Air plane that crashed was brand new, delivered just months ago. The FAA directive addresses a potential problem where incorrect “angle of attack” sensor input can cause the flight control system to command the horizontal stabiliser to push the plane’s nose down. According to the FAA, if the condition is not addressed, it could create problems in controlling the plane. The doomed Lion Air plane entered a sudden dive and plunged into the Java Sea at speeds approaching 1000 km/h. According to the Wall Street Journal, safety experts close to the investigation said that neither airline managers nor pilots at US carriers had been told Boeing had added a new system to the latest 737 variant – which meant flight crews typically weren’t prepared to cope with the possible risks. The article said Boeing declined to immediately answer specific questions but said it was “taking every measure to fully understand all aspects of this incident, working closely with the investigating team and all regulatory authorities involved”, adding that it was “confident in the safety of the 737 MAX”.